NEW!! USB-Micro and USB-C Connections, Both in one unit! Permanently screened white ink 1" high "SYSTEM RECORD DOCUMENTS"
The SRD is the perfect item to help you meet demanding code requirements today. NFPA 72 2013 7.7.2.4 states that a cabinet must be "prominently labeled ?SYSTEM RECORD DOCUMENTS?". SAE's number one goal is to manufacture code compliant solutions and this product allows you to do just that. NFPA 72 2013 7.7.2.1 states, "With every new system, a documentation cabinet shall be installed at the system control unit or other approved location at the protected premises." This durable 16 gauge steel enclosure with a solid piano hinge and key lock will keep all of your code required documents in one safe place. With a 4GB USB flash drive it stores your fire alarm software safe and secure eliminating the occurrences of the software not being on site when technicians arrive to service the system. 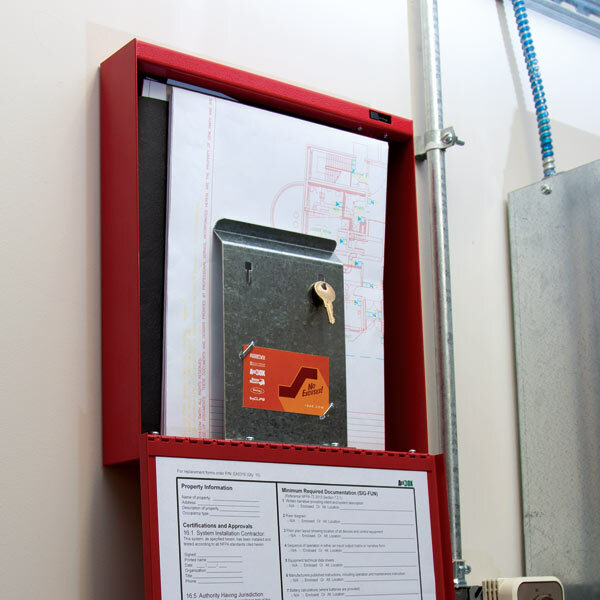 Along with your fire alarm software you can store your test & inspection, service records, manuals and system records. 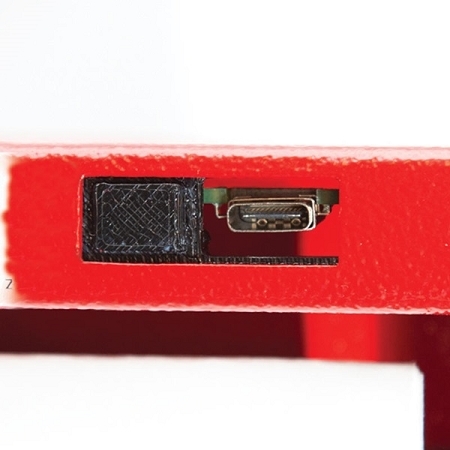 Using a standard "USB-Micro" or "USB-C" connector you may also store you records electronically (See NFPA 72 2013 7.5.6.7). The SRD has designated hooks to organize key rings and hold important business cards for easy access and reference. Inside the cover it has an organized record for identifying equipment information, required documentation locations (See NFPA 72 2013 7.2.1). The SRD is the perfect item to help you meet demanding code requirements today. 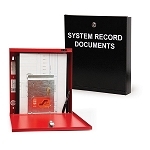 NFPA 72 2013 7.7.2.4 states that a cabinet must be prominently labelled SYSTEM RECORD DOCUMENTS.